It’s St. Patrick’s Day and the spring equinox is almost here. 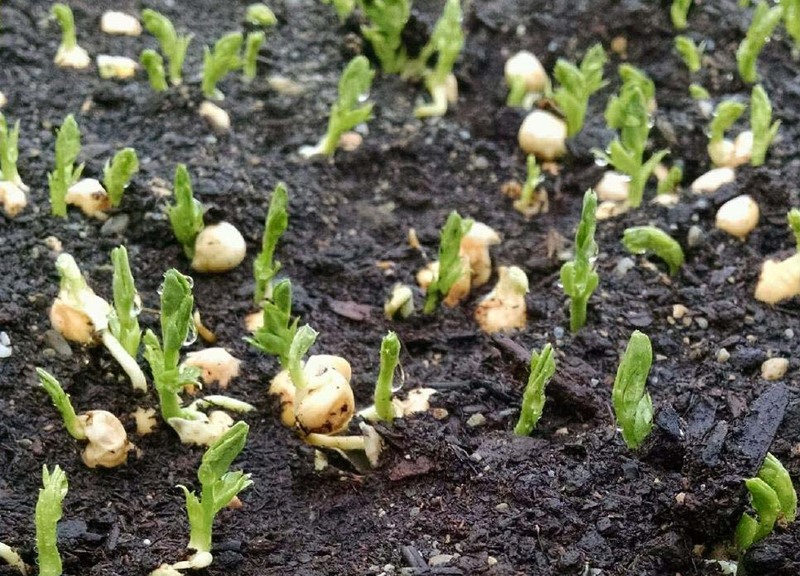 One traditional way to celebrate the “green” is to plant your peas. Looking around New England this year, the garden is just not ready for them. 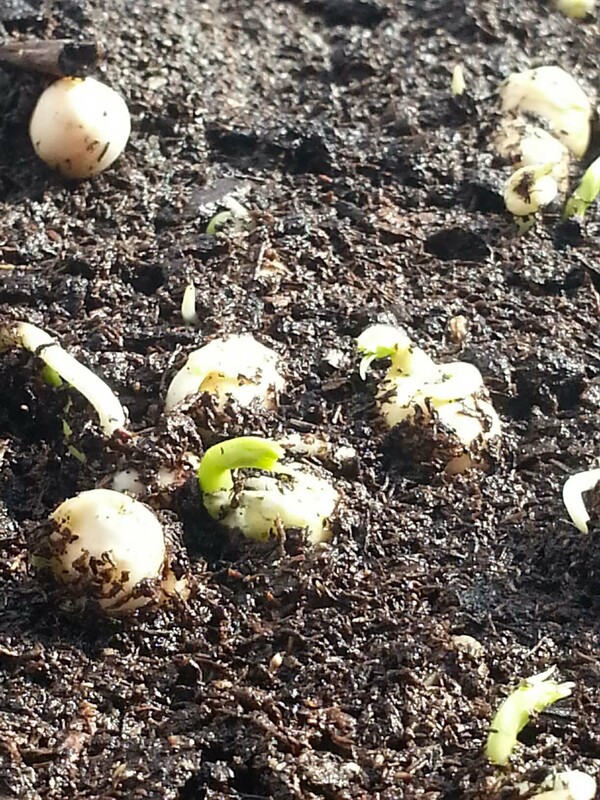 But we have a solution – plant peas inside to harvest as shoots. 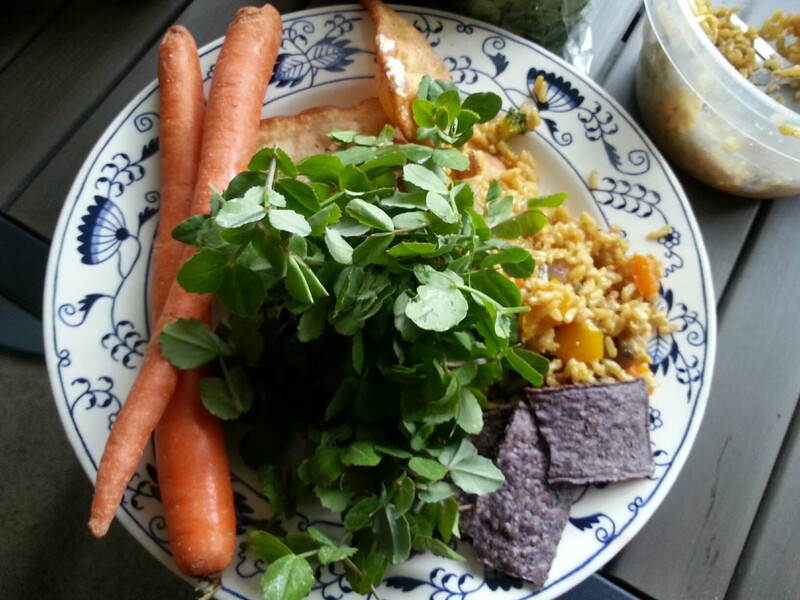 You may have seen these fresh greens at the markets or on the menu of your favorite restaurant. 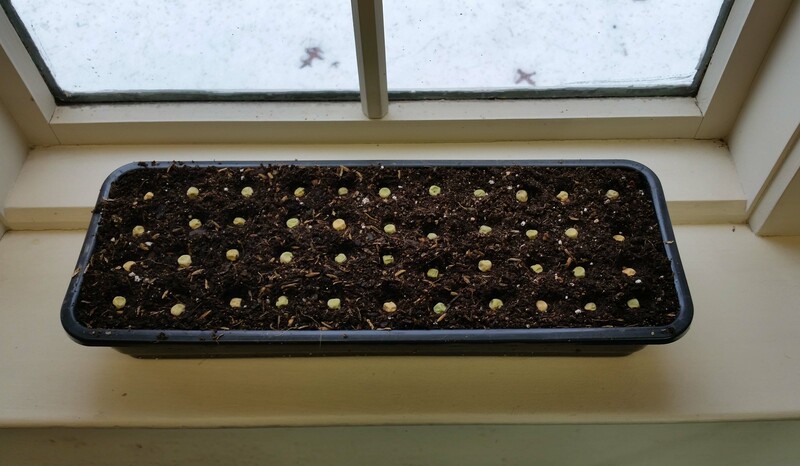 It is very easy to grow these sweet greens right on your windowsill without any additional light or heat. You can even purchase a micro-green kit that suction-cups right to the glass of your window. 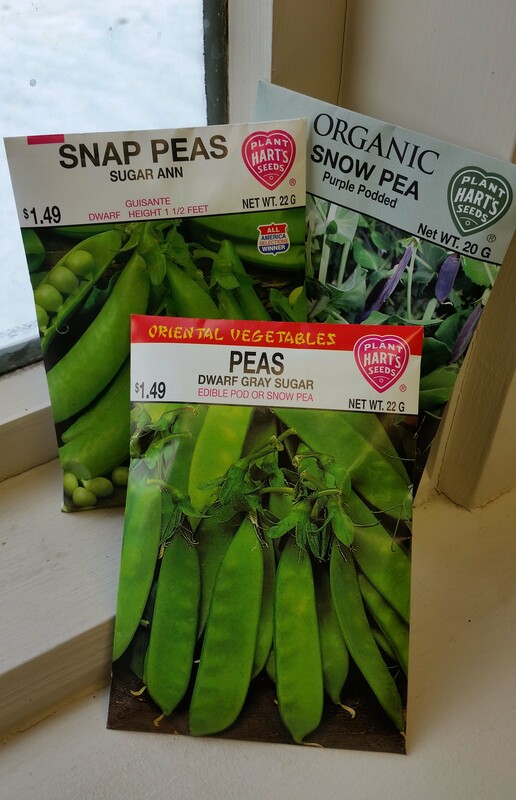 Choose an edible pod pea seed such as Sugar Ann or Dwarf Gray Sugar. Start with any container that will sit comfortably on your windowsill and is at least 2″ deep; it doesn’t even have to have holes in the bottom. Fill the container with moistened seed starting mix not garden soil (see my recipe for seed starting soil if you’d like to blend your own). Scatter the seeds thickly over the top of the soil in a single layer; don’t worry if they touch each other (I placed these seeds far apart to photograph them as they grow). No need to “plant” the seeds; just press them firmly into the soil and water them in with a “rose” end water spout or a spray bottle. Remember to water your seeds (or spray them heavily) every day from the top – you don’t want them to dry out. 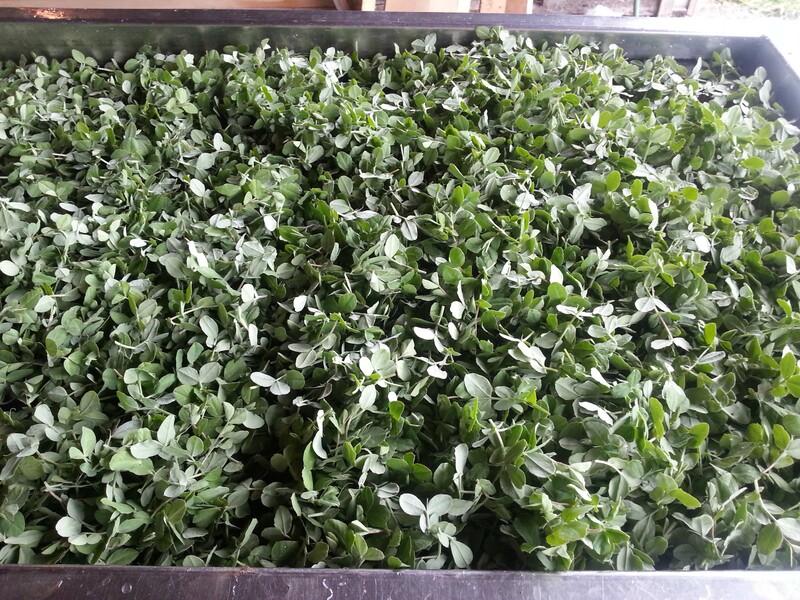 In about 2 weeks you’ll have ready to harvest pea shoots. You can harvest at 2-3 inches or allow them to get 6+ inches tall when the stems become entangled together. Some people say you can get a second harvest from the same planting if you allow the lowest set of leaves to remain when you cut the shoots. I’m going to give that a try with this planting. Check back to see the results. or saute them lightly with garlic in a little olive oil or browned butter. 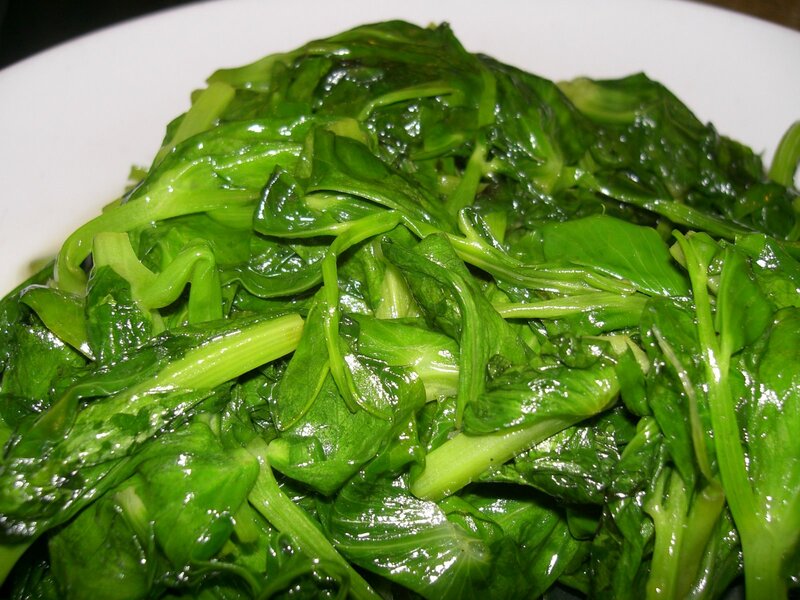 Every year I try to visit one of my favorite restaurants in Boston on Chinese New Year, just so I can order a large bowl of their sauteed pea shoots! 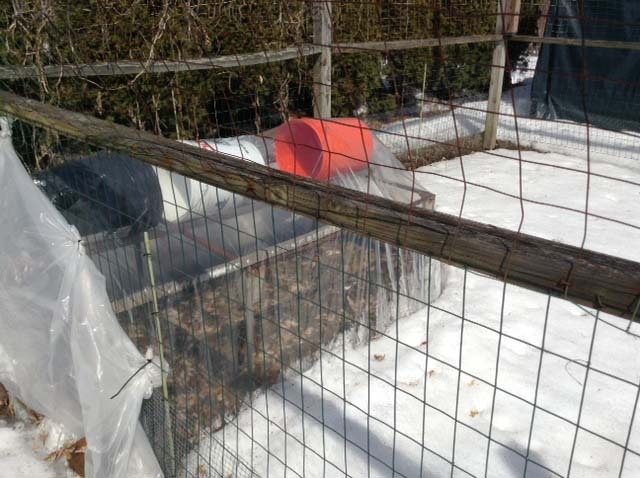 This year he’s planting his peas under a make-shift hoop house he built to protect his chard. He really does this just to prove to me you can plant peas in St. Pat’s Day! And yes, Charlie does have fresh peas weeks before me every year . . . and he loves to show them off to me! 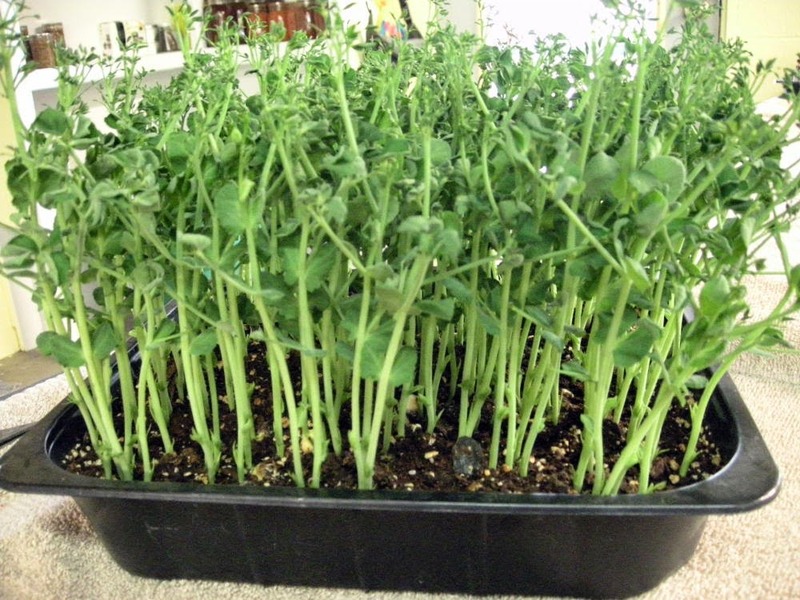 This entry was posted in Garden Fresh and tagged microgreens, pea planting, pea shoots, peas, planting, St. Patrick's Day.